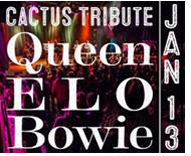 January 13….Cactus Tribute: Queen, ELO, David Bowie - The Cactus pays tribute to three of the most colorful acts in rock history as we salute the music of Queen, Electric Light Orchestra and David Bowie. Cactus favorites scheduled to perform include Bethany Longoria, Steven Shedd, Jeff Bailey and Amber Pennington. Get your tickets for this original music tour-de-force as we celebrate the musical magic of these three rock icons. Reserved floor seats $20; standard reserved balcony $15. Box office open daily 3:00-5:30 pm or call (806) 762-3233 or order online at cactustheater.com. Cactus Theater, 1812 Buddy Holly Avenue: Doors at 7:00; show at 7:30 p.m.
January 13 – 15….Moonlight Broadway Presents: “Tarzan” – The 2016-17 Moonlight Broadway season is proud to present the high-flying musical, TARZAN® swinging onto the stage of the Lubbock Memorial Civic Center Theatre. TARZAN® is based on the Disney film and features all of the popular Phil Collins songs from it, as well as many new ones written by Collins for the stage version. Adapted from the 1914 story “Tarzan of the Apes” by Edgar Rice Burroughs, this Moonlight Broadway production is a classic-with-a-twist. TARZAN tells the story of a young human boy (Tarzan) raised in the jungle by a tribe of gorillas after his parents are killed. Never quite fitting in with the tribe, Tarzan is very intrigued by the similarities he discovers between himself and a young naturalist (Jane) he rescues in the jungle. Soon, Tarzan’s loyalties to his gorilla family and the attraction he feels for Jane are tested as he realizes he must choose between the life he has known and a future with Jane. For tickets call Select – A – Seat at 806-770-2000. For additional information see: LubbockMoonlightMusicals.org/Upcoming-Shows/. Lubbock Memorial Civic Center Theatre, 1501 Mac Davis Ln. Times: Friday, Jan 13 at 7:30 p.m.; Saturday, Jan. 14 at 2 and 7:30 p.m.; Sunday, Jan. 15 at 2 p.m.
January 14….The Roundtable presents: Andy Wilson - Director of Strategic Business Development at X-Fab: "The Silicon Carbide Prairie-Emerging Technologies on the South Plains" - Our luncheons are held at Hillcrest Country Club 4011 N Boston Ave, Lubbock. North on University past State Living Facility to Newcomb, left for about 4 blocks and you will come to the entrance of the Hillcrest Country Club at the convergence of Boston and Newcomb Ave. Meeting format: People arrive about 11 a.m. to start registering, pay for lunch and some socializing. Food service starts at 11:15 followed by introductions and announcements at 11:30.The speaker will start about11:50 and be finished with the program and questions from the audience by 1 p.m. The public is invited. Lunch/attendance is fifteen dollars ($15) per person. Limited menu includes beverage and dessert. There are no membership fees or dues associated with attending the functions. Any extra monies that you would like to contribute will go towards the speakers lunch and towards our Honors College Scholarship fund at Tech. Our Saturday luncheons are a great way to (1) learn more about current global/US/Texas/Lubbock issues and events, (2) meet other people in area who may become lifetime friends (3) feel more at home in Lubbock. Most wear business or business-casual attire. No RSVP is necessary. Show up whenever your schedule allows, feel free to bring a guest(s) and email this invitation to anyone you think might be interested. For more information email Marie Evans at this address: mevans1398@aol.com. January 14….Saturday Lectures at LHUCA: The Life and Art of Renoir with Christian Conrad - Pierre-Auguste Renoir (1841-1919): An artist closely associated with the Impressionists, Pierre-Auguste Renoir was one of the founding members of this movement. Born into poverty Renoir would become a household name due to his beautiful and vibrant depictions of everyday life. Renoir’s work can also be seen as the transition from the accessible works of such artists as Peter Paul Rubens and Eduard Manet into a more contemporary vision. Join us as we examine Renoir’s art in addition to his close relationships with many of the other important artists of his time. Saturday Lectures at LHUCA is an informal conversation over the life and work of contemporary artists. It’s a stress-free opportunity to examine the art and ideas that underlie much of the modern art world. Attendees are encouraged to ask questions and join the conversation. This event is free to the public. Join us for coffee and donuts! 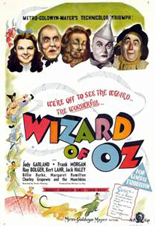 LHUCA, 511 Avenue K; 11:30 a.m. - 1 p.m.
Get 2-for-1 Tickets to either "Oz" showing! Tickets regularly priced at $7 for all ages...and all seats are reserved (meaning you pick your exact seats) when ordering. To receive this special 2-for-1 offer, call or go by the box office Thursday or Friday between 3:00-5:30 pm or starting 1:00 pm on Saturday for the 2 pm show or 6:30 pm for the 7:30 show - or call (806) 762-3233 and mention this special offer to receive the discount. Cactus Theater, 1812 Buddy Holly Ave. Two shows: 2 p.m. and 7:30 p.m.